Ugly as ever! 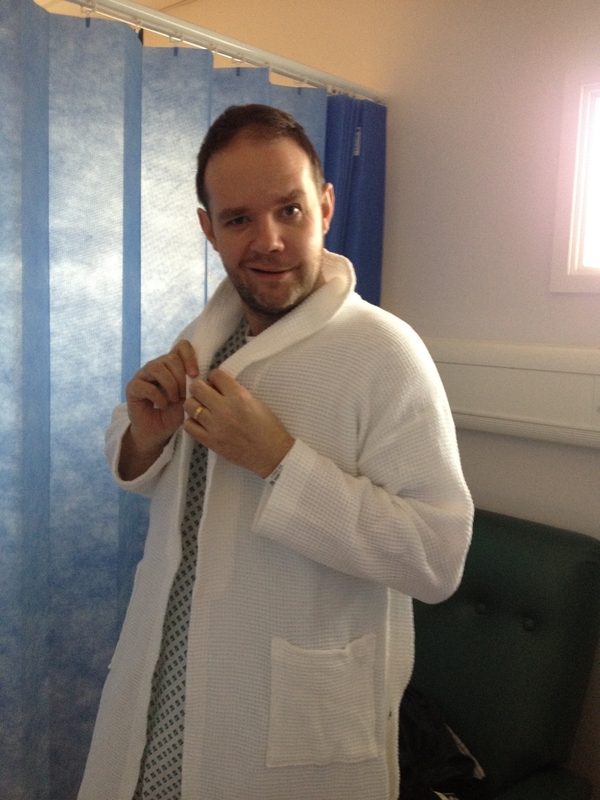 Nice gown though! Strange, the Consultants call my hole a defect, NO, it's a hole made by cancer, not a defect! Anyway, after a couple of weeks you have to have the healing checked and as such they need to remove the healing plate from your mouth - I guess this could be very painful at this point so they put you under. At the same time the Consultant dentist pops in and takes a cast of the hole, so that he/she can make a new plate for you.